A bachelorette party is a rite of passage that a bride-to-be will remember for the rest of her life. If you’re the Maid of Honor who has been designated the organizer of an unforgettable bachelorette event, no pressure! Start with a Scavenger Hunt:If you’re hosting a bachelorette party for a large group that doesn’t know one another well, a scavenger hunt is the perfect icebreaker, especially when a few cocktails are involved. You can break the party up into small teams, each equipped with a scavenger hunt list. From there, the group can move from bar to bar throughout a designated area of the city to see which team finds all of the items on the list first. One easy and fun way to record scavenger hunt results is with a camera on an iPhone to see which team scores highest! Get Sporty:Less traditional bachelorettes may appreciate this unconventional party theme. Instead of hitting up the clubs for a night of outrageous fun, the bridal party can get together to attend a live sporting event, like a basketball, baseball, or football game. For women who are also sports fans, this is the ideal compromise for a fun, relaxed girls night out. After the game is over, don’t forget to hit up a local sports bar for a few beers and pizza to stick with the theme. Pool Party:For a chic bachelorette party on a budget, consider hosting the event in the afternoon or early evening at a backyard pool. If a backyard pool isn’t available, you can ask the bridal party to pitch in to rent a pool in a local community center. There, the bachelorette and friends can relax in the sun, drink frozen margaritas, and gossip until the sun goes down. As an added bonus, if you rent out a cabana at a hotel pool, you may also be able to book spa treatments, like poolside massages! 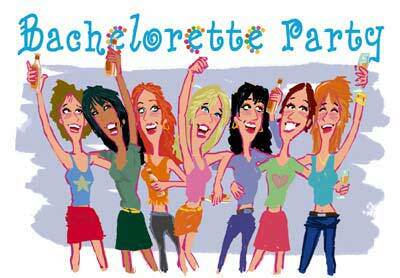 No matter which bachelorette party theme tickles your fancy, make sure to book reliable transportation in advance to ensure that all members of the party get to and from their destination safely. Hiring an Austin car service for a scavenger hunt, sports game, or pool party will provide the bachelorette with a luxury treat so that she doesn’t have to worry about driving home at the end of the night.